I am concerned about the coming election for Senate District 10, currently held by Wendy Davis. She’s vacating to run for governor, and there’s a very good chance the winner of the GOP primary can take the seat IF we field a qualified candidate. The Senate is not a good spot for on-the-job training of someone that’s never held a real elective office, or anyone unarmed with serious business skills. Preferably they’ll have BOTH. 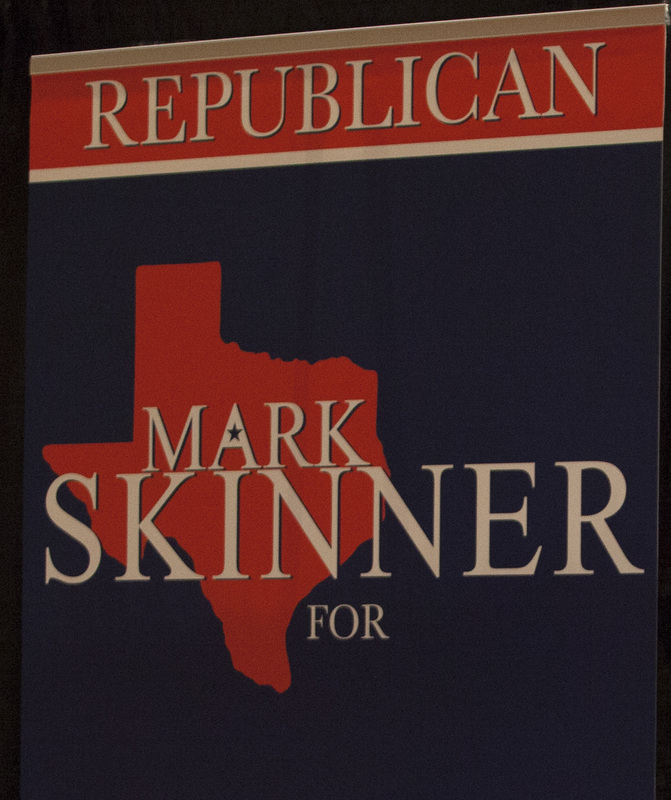 As some of you know, I’ve done a little wordsmith work for one candidate… Mark SKINNER. Having known him for 4 1/2 decades I can speak to his character… he tougher than nails, decidedly nobody else’s man. He picks his battles well, and doesn’t back down just because he’s outnumbered. His business experience is far above anyone else running for the spot. After earning his degree in Chemistry, he went to work in chemical sales. In the process of working he met with clients so impressed with his talent they recruited him into a seemingly unrelated field… commercial real estate. He’s been in that field for 30 years. Having excelled in positions with large firms he eventually formed his own. He has also participated in forming companies in related fields, one handling residential farm and ranch properties, another in Las Colinas that’s also commercial related. 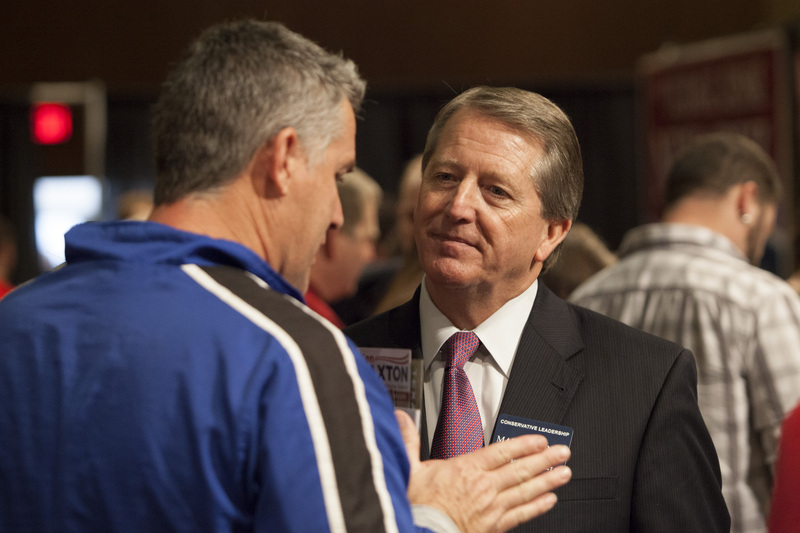 He has been involved in municipal politics along the way, serving on Colleyville City Council, where he proved capable of standing up to collective interests without flinching or backing down. He’s the kind that stands by his convictions regardless of the size of the opponent. SKINNER has no skeletons in his closet. His wife runs a charitable foundation. A brother is headmaster of a Christian school, a brother-in-law runs a Christian charity, etc. He had a previous marriage… he’s widowed, having cared for his first wife 5 years while she battled Lou Gehrig’s disease. During that time he managed to tend her, raise the kids, and still build his business. He understands compassion (not to mention multi-tasking). Their children are grown and successful in their own rights. I’ve talked to several in the local GOP or Tea Party groups who have already basically sworn fealty to other candidates, and some of the discussions have been eye opening. One odd comment I heard was that we didn’t need a “good ole boy”. Seriously? Are we deciding candidates by virtue of anatomy or because their demeanor? That’s the oddest objection available. I have yet to hear anyone make a strong case for another candidate for this office that referred to THEIR strengths… only reflected glory. -1- Does the person have a proven track record of success? -2- Are they themselves a proven leader… or just someone’s favorite follower? -3- Do they have strong fiscally conservative principles… AND the business experience to know how to apply them? Past success is the best indicator of future performance. On the national level we’ve seen what happens if you elect an “organizer” with little or no experience. We know where that leads. In this senate vote… before you cast a ballot, take the time to really evaluate the strengths and experience of the candidates. Whether you personally know him or not, and even if you’ve previously stated a preference for someone else… if you look at the qualifications of each candidate with relation to actually becoming a leader in the Texas Senate, you will give strong consideration to SKINNER as the next Senator from District 10. When you see pics of SKINNER chatting with voters, in the majority HE is the one intently listening. Compare, you’ll see it’s a rare skill. SOMEONE has to listen to the voters. Let’s send SKINNER to Austin to show ’em how that’s done. Next Post WHY Is Konni Burton Afraid to Debate?